THE INTENT OF THIS BLOG IS TO FACILITATE A DEEPER UNDERSTANDING AND CONNECTION WITH YOUR PET(S). RECOMMEND CONTACTING YOUR VET AND/OR A CERTIFIED TRAINER/BEHAVIOURIST. DID YOU KNOW THAT IN CANADA ANYONE CAN CALL THEMSELVES A DOG TRAINER? iF YOU DIDN'T, YOU AREN'T ALONE. IN CANADA DOG TRAINING IS AN UNREGULATED INDUSTRY. IN FACT, MOST PET SERVICE PROVIDERS IN CANADA AREN'T REQUIRED TO HAVE ANY PREVIOUS EXPERIENCE OR EDUCATION IN ORDER TO CARE FOR YOUR PET. THE ONUS IS ON EACH PET GUARDIAN TO DO THE REQUIRED RESEARCH. AS WITH MOST THINGS dog RELATED (IE. RAW FOOD, WHEN TO SPAY OR NEUTER YOUR PET, RESCUE ORGANIZATION VERSUS BREEDER) THE INFORMATION CAN BE OVERWHELMING. EVERYONE HAS AN OPINION AND THEY'RE MORE THAN EAGER TO SHARE IT. TALKING WITH FRIENDS AND ACQUAINTANCES CAN BE ONE PLACE TO START. SEEKING THE ADVICE OF YOUR VET IS ANOTHER. HOWEVER NOTHING IS MORE IMPORTANT THAN talking to the source and KNOWING WHAT QUESTIONS TO ASK A POTENTIAL TRAINER OR BEHAVIOURIST. YOUR PET'S WELL BEING IS IN YOUR HANDS. take your time and choose wisely. i promise it will be worth it. 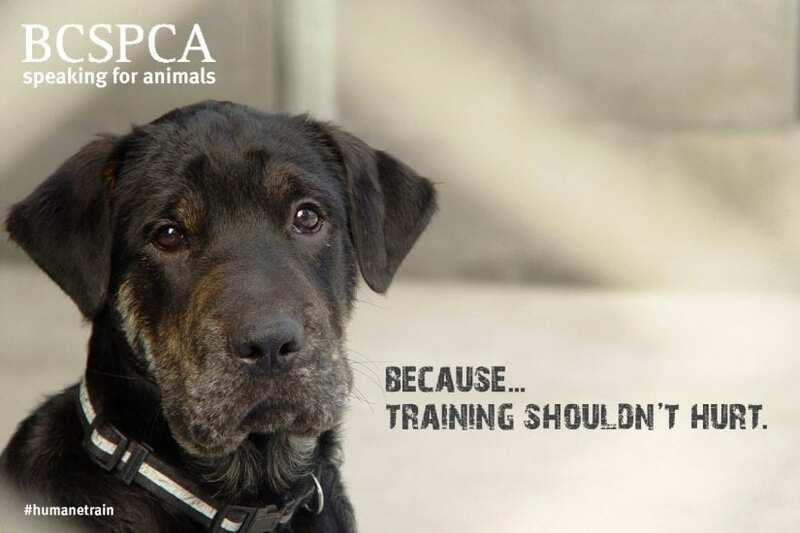 THE BCSPCA HAS COMPILED THIS VERY HELPFUL CHECKLIST FOR CHOOSING A TRAINER (SEE BELOW). OUR FAVOURITE TRAINER IS rENEE eRDMAN, OWNER OF bravo DOG TRAINING & BEHAVIOUR CONSULTING. VISIT THE BRAVO DOG WEBSITE FOR AN EXAMPLE OF A PROFESSIONAL WHO CHECKS ALL THE BOXES! This means anyone can call themselves a “professional” or “humane” trainer with no education after watching some online videos or by taking some courses. As a consumer of dog training you need to be aware that training methods and tools can be misused, ineffective or cause harm. You must ask a dog trainer for transparency. What are the techniques they are using and instructing you to use on your dog. Ask them to describe their methods and ask if there are less harmful alternatives. Get a written consent form. What will you do if my dog gets it right? What will you do if my dog gets it wrong? Are there side effects to your methods and if so what are they? Are there alternatives that are less harmful/stressful for your dog? Are there side-effects and what are they? When a dog is fearful or stressed it makes it hard for them to learn. Think of when you were learning a new language or how to play piano. How much would you learn if you were stressed or afraid? Note: The BC SPCA’s AnimalKind accreditation is currently piloting standards for dog training. Check with your veterinarian to ensure they’re comfortable with the vaccines required for class (both for adult dogs and especially puppies). Some behaviour problems are caused by underlying health issues. Contact your veterinarian if you see changes in your dog’s behaviour. There are different ways training is offered. A trainer might come to your home, or you might attend classes, or your might board your dog while someone trains him. Choose what is right for you and your dog. If you’re not comfortable, ask questions. There are no guarantees; behaviour is variable. Training your dog should be fun for you and your dog. Adapted from American Veterinary Society of Animal Behaviour AVSAB ‘How to Chose a Trainer’.